This week was insanely busy for me, weekend included. 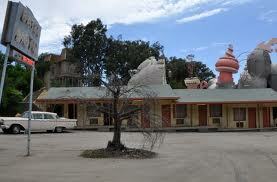 I lived out of three different hotel rooms in two different hotels, and drove through one blizzard. The culmination of these events is that for the first time in 2013, I didn’t get anything painted; about the only productive thing (in a creative sense) was that Caffeineforge’s taxes got done. Unfortunately, they came out about how I expected, and thus there isn’t anything interesting worth sharing with all of you. But the show must go on. Just because I didn’t paint this week, doesn’t mean that nobody else did. It also doesn’t mean that no new miniature related projects were launched. So for those of you interested in all of that, you know what to do. Kickstarter must have heard about my busy schedule, and decided to take it easy on me. This week there were only three new projects to report. Fields of Fire – This is a modern mini wargame, without the miniatures. This creator is trying to launch a rule set solo. I have seen (and reported) on this several times, but none of those were successful. Wargamers love their bits, after all. Zombie Tower Shooter – This million dollar project will probably never crack a hundred dollars. If you need a laugh this week, you should take a look; it’s the highest budget ever requested for a terrible project that I am aware of. One of it’s rewards is of course minis – in this case cheap zombie army men. My favorite is the $2 reward (contrast with the $1 reward.) It’s only a matter of time before MTG implements this idea. Dungeons of the Mountain King – This project is the only one with a real shot of success. As of posting in fact, this print and play mini scenery project has already succeeded on it’s original goal, of $500, but may yet make some real money. I wish the guy well and everything, but I would be shocked if he has spent $2k (including the cost of photoshop) on his $35k of Kickstarter earnings to date. At least this latest package offers exclusive content for backers as opposed to a $25 pledge level for $13 worth of content. Even though I was a slacker this week, Jessica kept her nose to the grindstone. 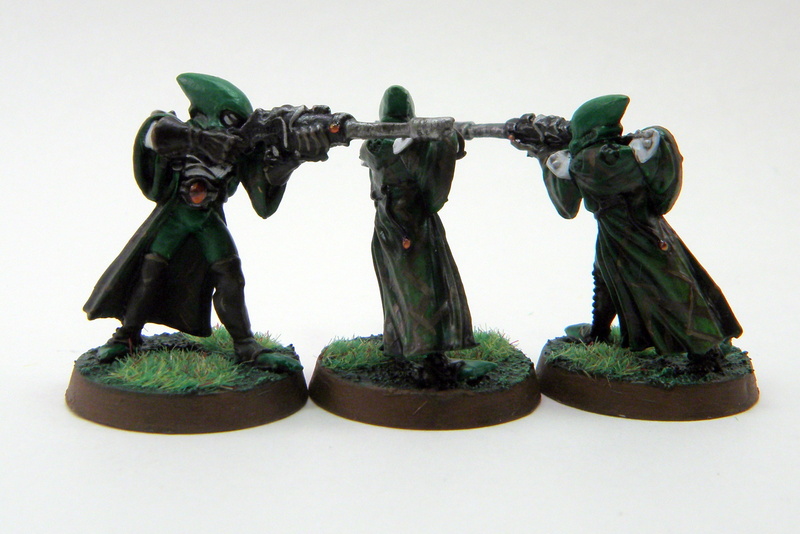 This week she not only painted a wonderful eldar scout – she painted three of them. Her army is really coming along. I lookforward to the day she can post the whole thing assembled for all of us to drool over. 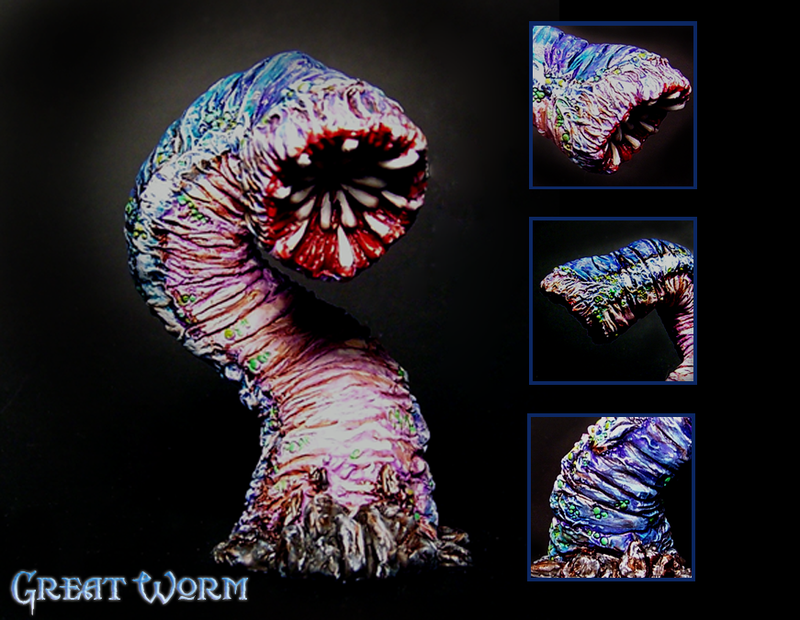 Clint also burned the candle at both ends to bring us this week’s mini, a duplicate of one I showed in a previous post from Reaper’s Bones line … the Great Worm! Send us your pictures to show off your skills to the world at caffeineforge@gmail.com.